If you strike it super-rich, how do you claim your winnings? Finding out how to claim a EuroMillions prizewon’t take long giving you more time to spend your winnings. 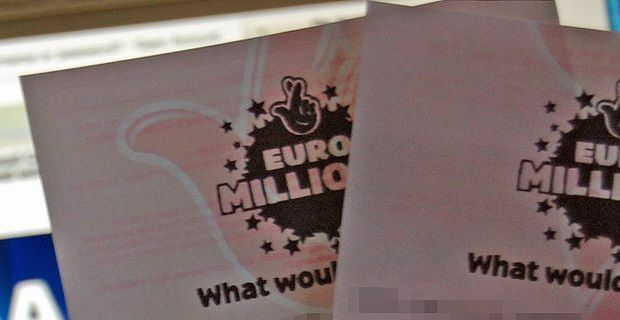 Every week there are two massive EuroMillions draws and all you have to do it match two main numbers to win some money. As you’d expect, EuroMillions is the continent’s largest lottery game with millions won every Tuesday and Friday when the draws take place. The EuroMillions, which is normally drawn in Paris, is a combination of five main and two Lucky Star numbers. For the full jackpot you’ll need to match all seven numbers, but matching 2 numbers on EuroMillionsgives you a small pay out of around £3 which at least covers the cost of the ticket. If you get your tickets online, you’ll get your winnings automatically if they're under £5000. Opening an account online makes the process hassle free so it’s the best way to go. Your ticket is kept online so there’s no losing it and when you win, you get an Email prompting you to log in. Only when you log in do you get the great news that you’re a lottery winner. Any winnings up to £500 are paid directly to your lottery account. Winnings over £500 but lower than £5000 are paid to your nominated bank account. You’ll have to call the National Lottery Customer Care Team to claim winnings of more than £5000. The process is the same if you win on the UK Millionaire Raffle draw which you’re automatically entered into when you buy a EuroMillions ticket. If you bought your ticket in-store, you’ll need to put your name and address on the back of it and then hand it into the counter staff. They put the ticket through the machine to verify it. If it’s a winner, the lottery machine now makes a distinctive ping sound and the retailer has to give you a win receipt which informs you how much you’ve won. Now you know how to claim your Euromillions prize winnings you’ll be free to get out there and spend your jackpot. Whether you win the smallest prize or the very highest amount, winning is a great feeling. Keep playing because you never know, your numbers might come up.